Temperature sensor is temperature sensitive semiconductor resistor, which usually has negative temperature coefficient (NTC), meaning that the resistance goes down with increasing temperature. The opposite type – positive (PTC) is very rare. 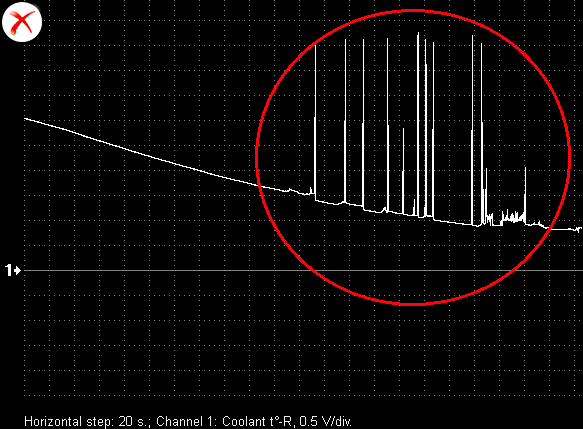 Output voltage waveform from a properly functioning engine coolant temperature sensor. 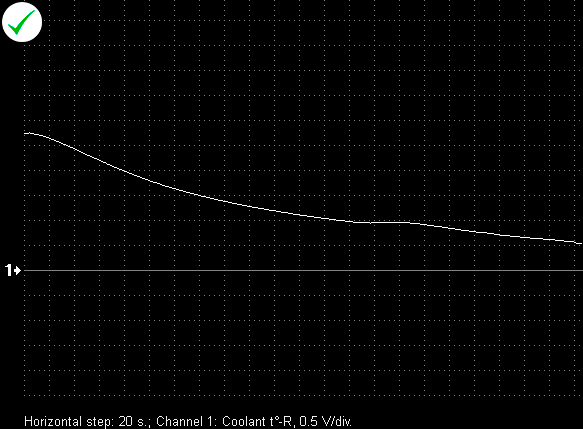 Output voltage of an NTC sensor decreases with increasing temperature, due to the way the circuit is designed. 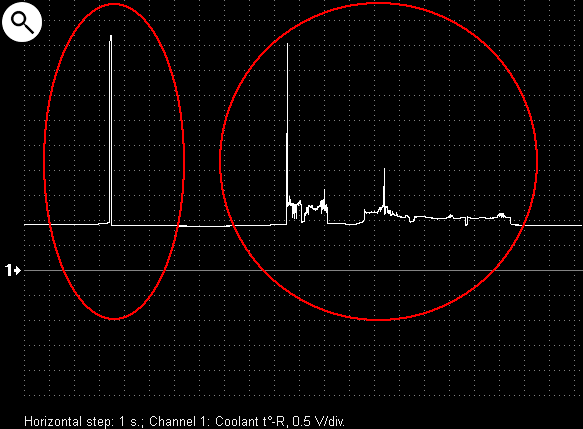 Output voltage waveform from a malfunctioning engine coolant temperature sensor. 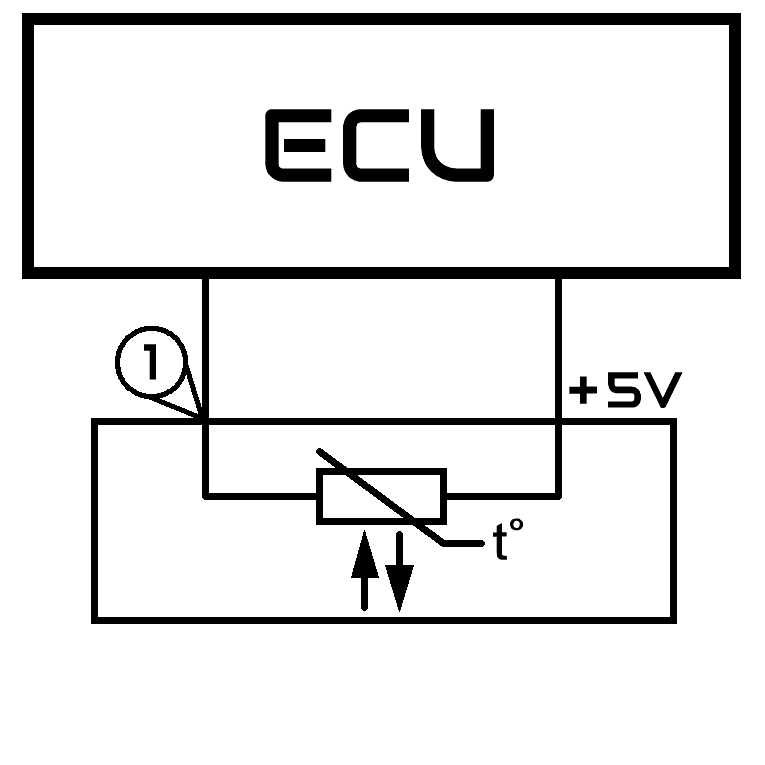 The sensor circuit develops an intermittent connection as the sensor heats up. 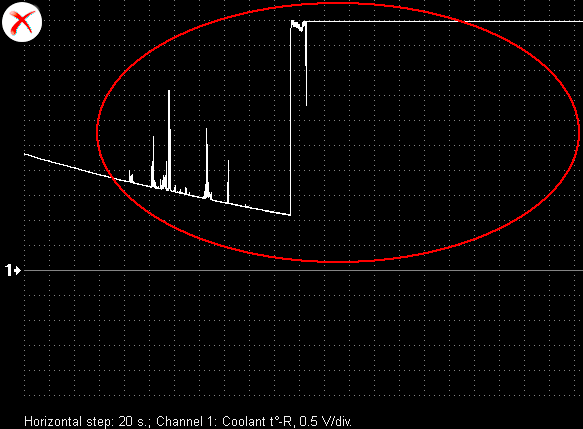 Output voltage waveform from a malfunctioning engine coolant temperature sensor. Output voltage waveform from a properly functioning intake air temperature sensor (Toyota Avensis 1.8i 2007). Output voltage waveform from a properly functioning intake air temperature sensor. 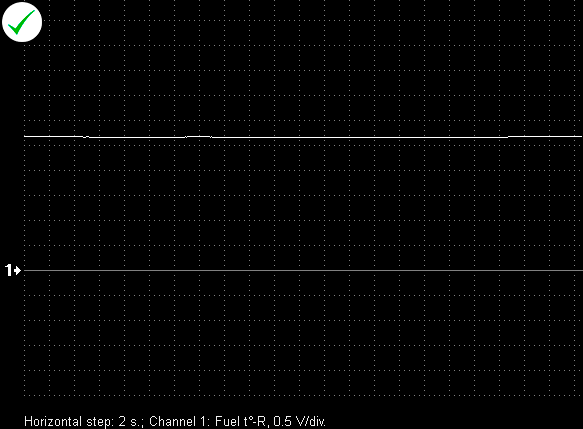 (KIA Ceed 1.6 2013).